The Obama administration announced a few days ago that it would interpret the somewhat ambiguous existing law in such a way that would allow it to seize money from “Thrift Savings Plan” accounts to settle tax debts. These plans are a variety of 401k-like retirement savings account that are available to employees of the federal government. The big health industry legislation that passed a while back included a little-noticed (at the time) provision that would dramatically expand the requirements of businesses to file 1099 forms to report their payments to other businesses. The IRS recently announced that, for now anyway, it plans not to require quite as much paperwork as the law at first glance seems to require. The federal government also is expanding its use of direct deposit for payments it makes, and hopes to mostly phase out sending checks to people. From here on out if you want your Social Security, unemployment insurance, veterans benefits, railroad retirement, and so forth, you’ll either have to give Uncle Sam your routing and account numbers or you’ll have to settle for getting your money in the form of a debit card. This is being billed as a cost-saving measure (how expensive to mail all those checks!) but mailing out those plastic cards can’t be any cheaper, so I suspect it has more to do with being able to keep a closer eye on people’s money so as to narrow the size of the underground economy and make it easier to seize funds from people. 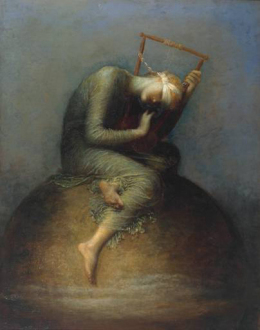 We learn from Miss Mary Anderson that her house has been “entered” by the authorities, and that some of her goods, among them a copy of the famous picture, “Hope,” by G.F. Watts, have been seized to pay the taxes claimed by a Government which denies representation to women. The sale will take place at Woldingham on Saturday afternoon, June 28 , and will be followed by a meeting in the Public Hall. All friends are cordially invited to be present, especially those living in Croydon, Thornton Heath and South London district. On June 12 Dr. [Elizabeth] Knight was summoned to appear at the Woodbridge Police-court for non-payment of her dog-tax. As it was not convenient for her to attend, Miss [Constance] Andrews went in her place again to protest against taxation without representation. She was supported by Miss Bobby and Miss Pratt. The Woodbridge Police-court compares very favourably with the London ones, and patience is not lacking in the way it was at Marlborough-street. When our case came on Miss Andrews asked to be allowed to make a statement; this was refused, but she made it all the same, and it took the form of a Suffrage tax-resistance speech. In reply to a question why Dr. Knight did not appear, it was pointed out she had professional duties to attend to, and they might take the form of certifying a man to be insane thereby depriving him of his vote, while she herself was not counted capable of exercising one. After some consultation a fine of 30s. and 14s. cost was levied; failing this, distraint and in default 7 days’ imprisonment. Whereupon the Suffragists made a further protest in court, and then held a meeting outside. Miss Andrews addressed an orderly crowd for forty minutes, one man who tried to create a disturbance being promptly ejected. The next act of this annual drama will be the sale of the wagon which has become historic in the history of tax-resistance. On Friday, June 13 , Miss Helen Smith’s goods were sold for tax-resistance at Philip’s Auction Rooms, Balham. Mrs. Tanner spoke on behalf of the Freedom League, of which Miss Smith is a member. Mrs. [Leonora?] Tyson took the chair. Mrs. [Margaret] Kineton Parkes and Mrs. Teresa Gough also spoke. The crowd was very large and quite orderly. The speakers had an excellent hearing. The resolution of protest was passed with only a few dissentients. Our members are still protesting against the sale of their goods to pay King’s taxes. On Friday, June 6 , goods belonging to Miss [Ina] Moncrieff were sold at Harding’s Auction Rooms, near Victoria Station. Miss Hicks and Mrs. Kineton Parkes spoke at the meeting, and a neighbourhood that was once distinctly hostile has become thoroughly sympathetic. On Thursday, June 12 , Mrs. Portrey’s goods were sold at the Harrow. A garden-party was given by Mrs. Huntsman, of the Women’s Freedom League, and the procession to the auction-room started from her house, it being a joint demonstration of the Tax Resistance and Freedom Leagues. Mrs. Kineton Parkes presided, and Mrs. [Charlotte] Despard and Mr. Laurence Housman spoke at the open-air meeting to a large crowd, which was gradually won over to sympathy with the arguments of the resisters, and finally passed a resolution approving tax-resistance. The Branch wishes to express its very hearty thanks to our President and Mr. Laurence Housman for the splendid speeches they made at our garden meeting on Thursday, June 11 . Six new members were enrolled, and £4 8s. taken in collection. A large crowd assembled and the meeting was in every way a great success. After tea a procession was formed up to go to the protest meeting which was to be held after the sale of Mrs. Portrey’s goods for tax-resistance. Mrs. Kineton Parkes made a splendid protest in the auction-room, and an open-air meeting followed, at which Mrs. Despard, Mrs. Parkes and Mr. Housman all spoke again. The tax-resistance banners and the W.F.L. pennons marching down in procession created a great effect in Wealdstone. Tom Cooley writes in about his tax resistance, and I summarize the tax implications of various retirement accounts and how they can be used to shrink your tax liability to zero. You can claim a $3,000 IRA deduction when you file your 1040 in February even if you don’t put the $3,000 into your IRA until April after you get your refund. Cool. They’re already plotting the great switcheroo in which people who put money in Roth IRAs are gonna get taxed twice. Do you expect them to resist with all these wars, bailouts, benefit programs, and so forth that they keep putting on the credit card? America’s Knowledge Gathering Bureaus are combining and sifting through databases in new ways to try to make sure you can’t escape taxes. Also: Most of the advertisements are advertising the same thing, and we seem to be buying it; Someone suggests to Michael Moore that a taxpayer general strike might be worth considering. Kate Harvey and Mary Anderson barricade their homes against tax collectors, protesters at a tax auction face off with local hooligans, and a chapter from Flora Annie Steel’s new novel is auctioned off for her tax debts: just a typical week in the 1913-era British women’s suffrage movement. More suffragette protesters argue with the authorities in the pages of The Vote. Elizabeth Knight is imprisoned for her tax resistance, as reported on this date in 1914.